Opt into the ONTRACK communication, including the monthly newsletter and news / event updates. 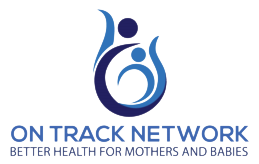 Welcome to the ON TRACK Network. This New Zealand wide initiative was established in 2016 to develop and enhance maternal and perinatal health clinical trial research across the country. We have a great track record in this area but a more formal clinical trial network provides the opportunity to extend, not only in the completion of trials, but also in setting the right research questions and ensuring appropriate and timely implementation of results across all of New Zealand so we really are achieving Better Health for Mothers and Babies. Identify priority research questions in maternal and perinatal health across New Zealand. Facilitate the establishment and effective integration of multicentre clinical trials in maternal and perinatal health at all sites in New Zealand that provide maternity and neonatal care. Facilitate the dissemination and timely implementation of research findings into the clinical environment to raise the profile of evidence-based practice, increase the knowledge-base of local practitioners and enhance the quality of care received by women and babies nationwide.